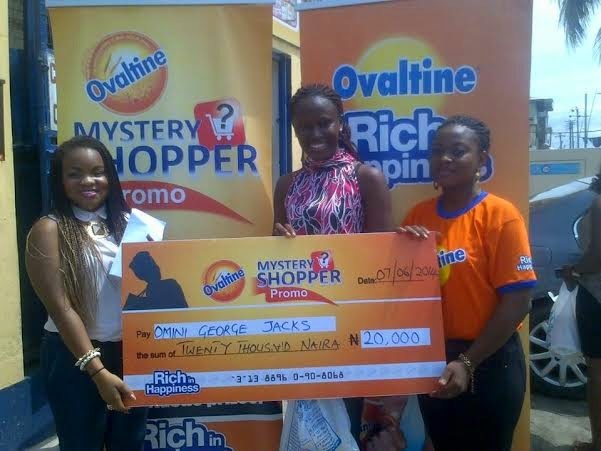 Ovaltine commenced a Mystery Shopper Promo aimed at rewarding consumers nationwide on the 23rd of May 2014. 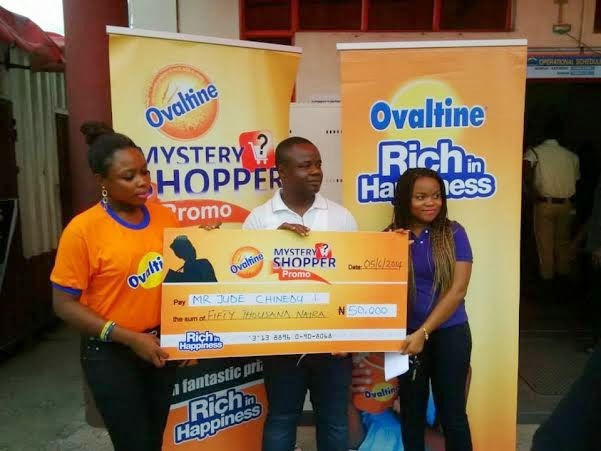 The Ovaltine Mystery Shopper has been visiting stores/malls to reward anyone “caught” buying Ovaltine turning ordinary shopping experiences into a memorable and happy one. 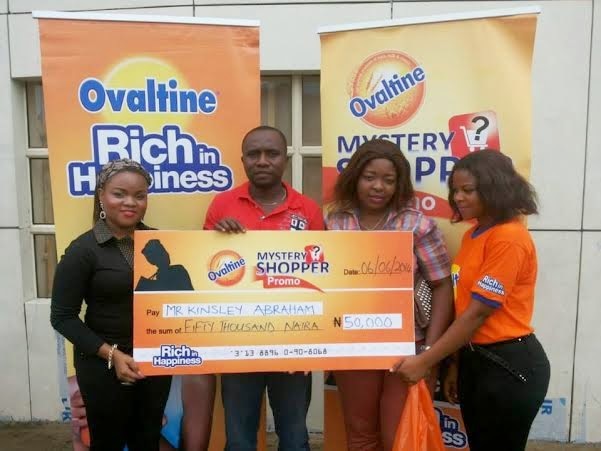 - Mr. Jude Chinedu who won a whopping sum of N50, 000 at Everyday Supermarket, Onne Road while Mr. Kingsley Abraham won N50, 000 at Timeless Supermarket, Ada George Road both from the Ovaltine Mystery Shopper in Port Harcourt. 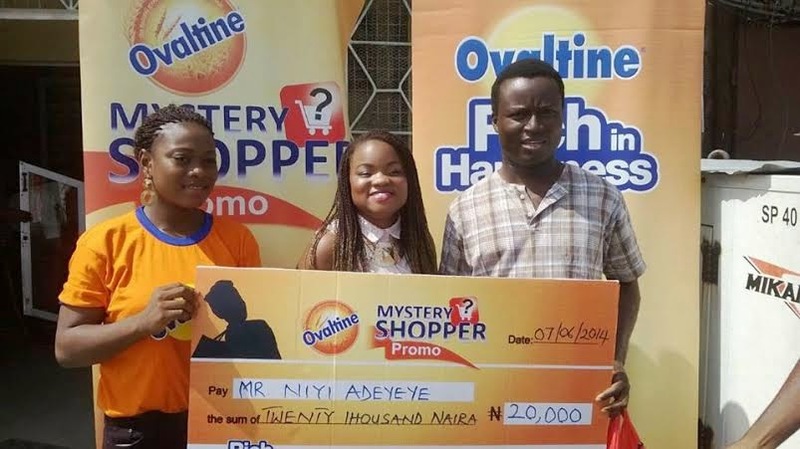 - Miss Omini George won a cash prize of N20, 000 at Welcome U Supermarket, 96 Aggrey Road and Mr. Niyi Adeyeye took home N20, 000 at Chastino Supermarket, 33 Churchill Road, Port Harcourt. - Mr. Kiani Tamunonengiyeofori was rewarded N20, 000after his purchase at Quick Save Supermarket at Stadium Road, Port Harcourt. It was Mrs. Omoyemi Omolaso that was lucky as she was rewarded with the sum of N50, 000 at Kelvin Mega Plaza, 46 Bonny Street, Port Harcourt. 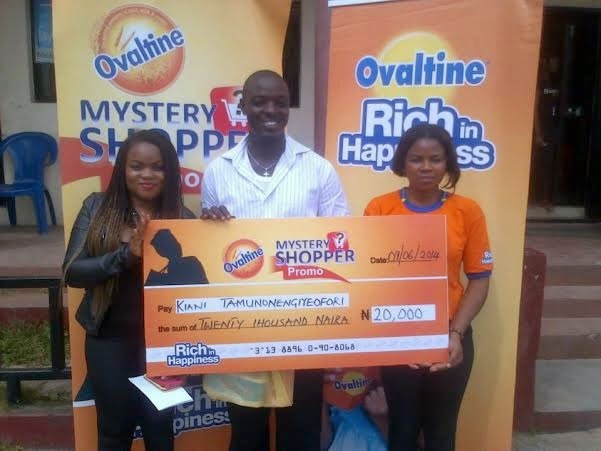 Mr. Kingsley Abraham won a cash prize of N50, 000 from the Ovaltine Mystery Shopper at Timeless Supermarket, Ada George Road, Port Harcourt. Miss Anthonia Eyiwunmi Ede was filled with happiness when she won a cash prize of N50, 000 at H. Medex Supermarket, Wuse 2, Abuja. 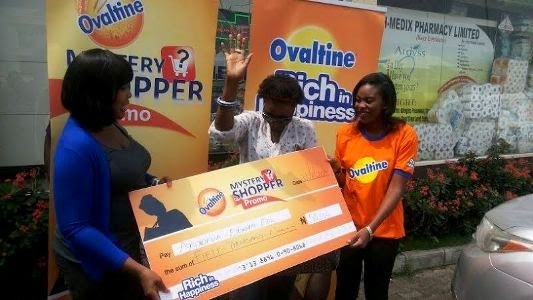 The Ovaltine Mystery Shopper is in your neighborhood to reward Shoppers seen purchasing Ovaltine. Winners will emerge daily throughout the duration of the promotion. They are really doing a nice Job. Federal Govt pls send cartons of HOLLANDia Yoghurt to super eagles. Me wey dey drink Ovaltine since dem born me nko? Or na my money dem dey give Mrs Ede?